Including The Album’s Debut Release On Vinyl And Blu-ray Audio, Along With Super Deluxe Boxed Set, CD, And Digital Versions. Click here to pre-order. On September 7, 1968, John Bonham, John Paul Jones, Jimmy Page, and Robert Plant first took the stage together in Gladsaxe, Denmark. Then billed as “The New Yardbirds,” the band would assemble in the studio for the first time later that month to start recording their debut album as Led Zeppelin, and rock ‘n’ roll would never be the same again. 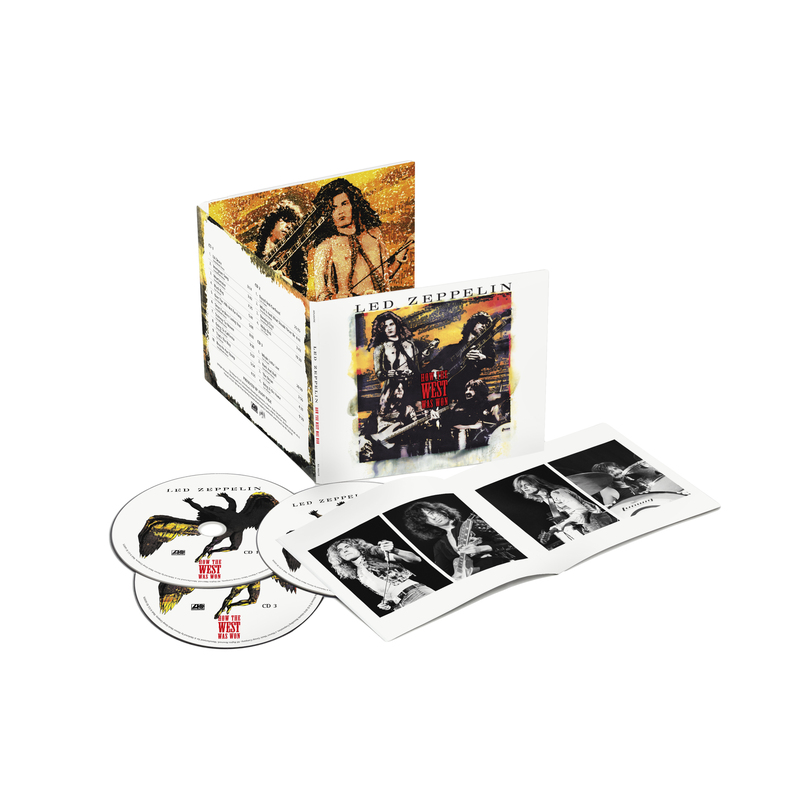 Before the band’s 50th Anniversary celebration officially begins in September, Led Zeppelin will continue their reissue campaign with a new edition of their celebrated live album “How The West Was Won”, originally released in 2003, featuring newly remastered audio, which was done under the supervision of Jimmy Page. 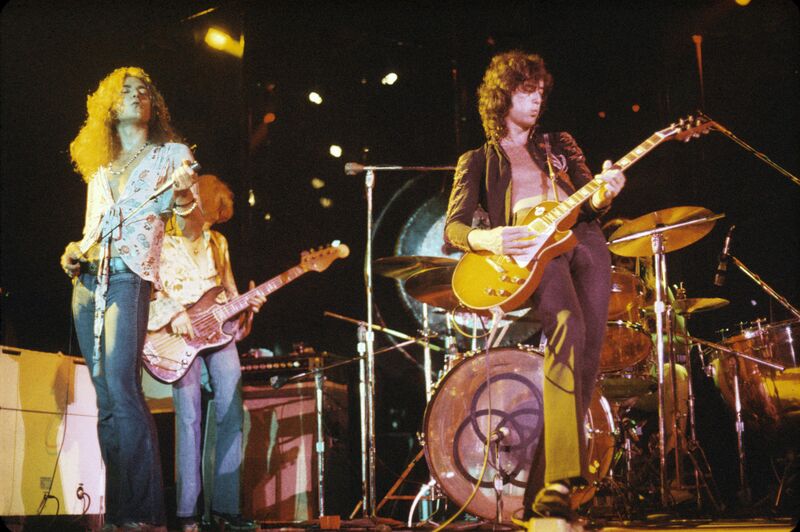 Details of additional Led Zeppelin 50th Anniversary releases and events will be announced later this year. 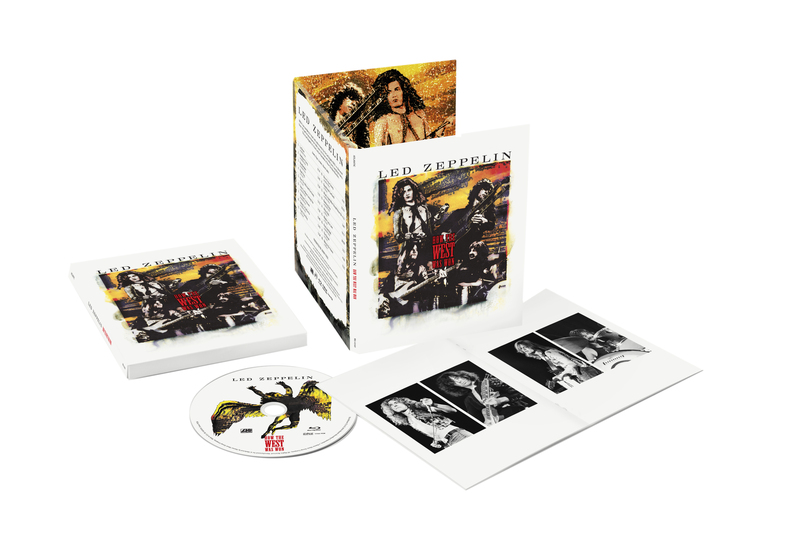 “HOW THE WEST WAS WON” will be released on March 23rd in multiple formats from Atlantic/Swan Song, including the first ever vinyl and Blu-ray Audio editions (with the Blu-ray containing hi-res 5.1 surround sound). 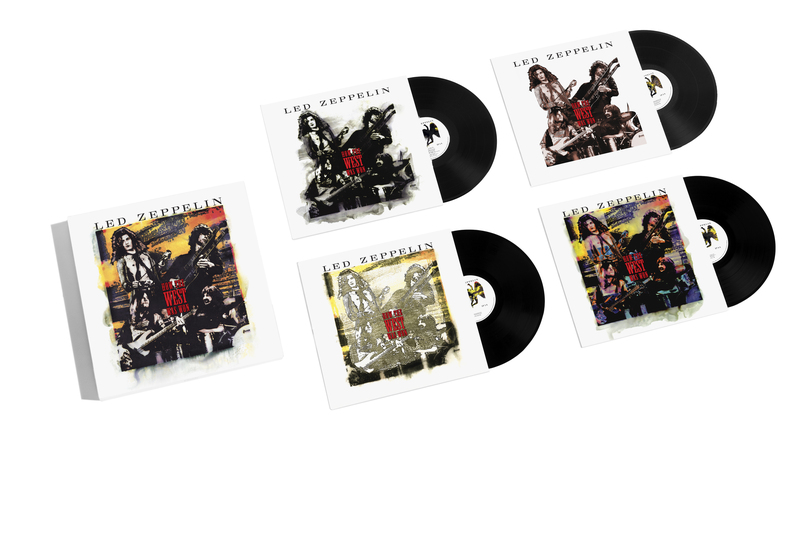 • Vinyl – Remastered audio on four 180-gram vinyl LPs. • Streaming & Digital Download – Remastered audio. 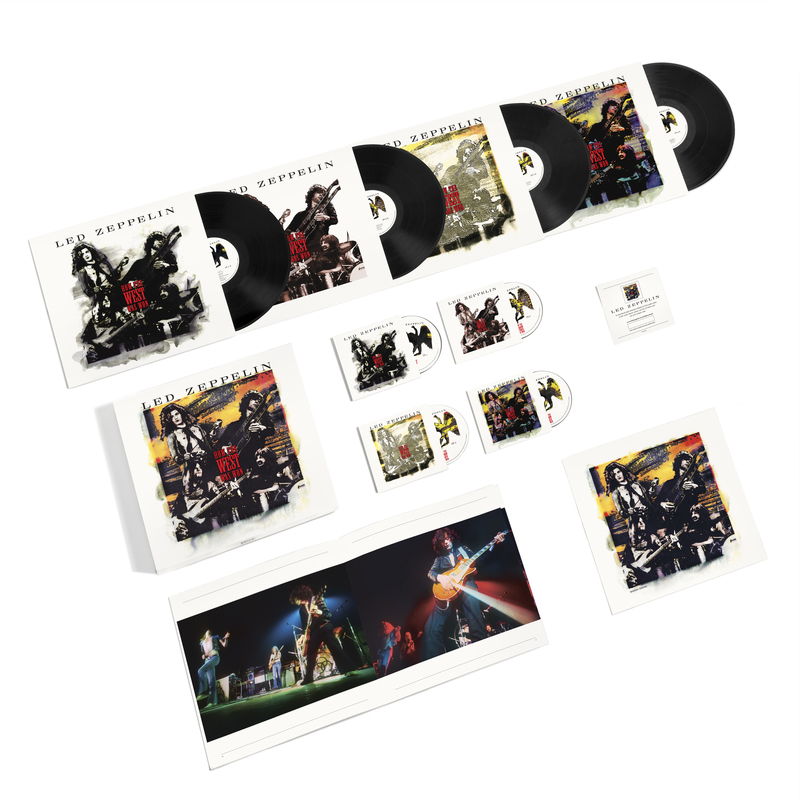 • Super Deluxe Boxed Set o Remastered audio on three CDs and four 180-gram vinyl LPs. 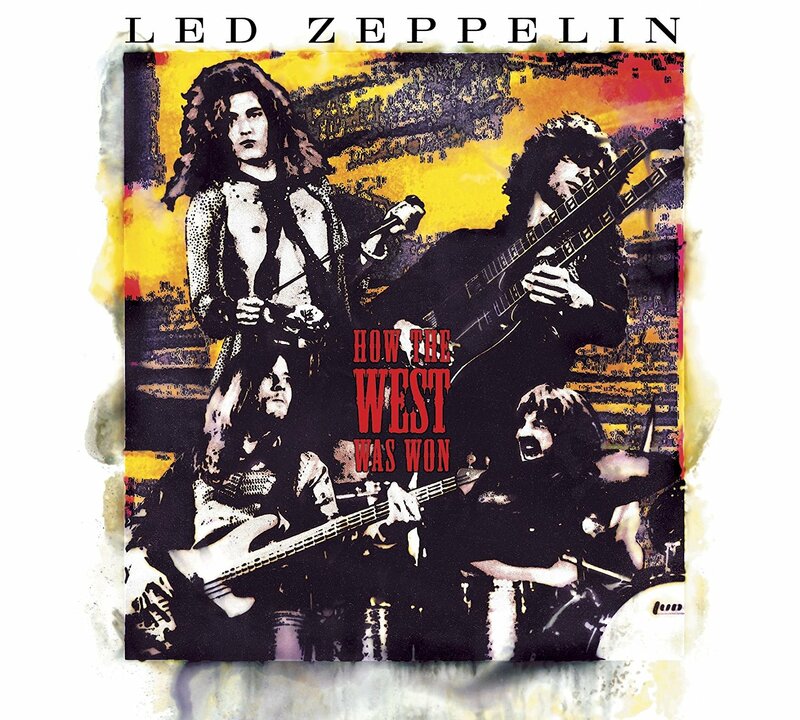 “HOW THE WEST WAS WON” highlights the best performances from Led Zeppelin’s legendary concerts at the Los Angeles Forum and Long Beach Arena on June 25 and 27, 1972. Melded together and sequenced to replicate a single concert from beginning to end, the three-CD and four-LP collections capture the band at the height of its formidable powers. Standouts include a 25-plus minute version of “Dazed And Confused” and a 21-minute medley based around “Whole Lotta Love.” The performances also capture the band introducing songs from its then-unreleased album Houses Of The Holy, which would be released nine months later. Lily Allen today releases the video for new single ‘Trigger Bang’ featuring Giggs and announces the forthcoming release of new album, No Shame, early Summer 2018. Lily has also announced she’ll play a string of intimate live shows across the UK in March, with further shows across Europe and the US to come. Lily Allen has had three UK number 1 singles, two number 1 albums and she has sold over 5 million albums worldwide. She also recently featured on ‘Cigarettes and Cush’ from Stormzy’s acclaimed Gang Signs and Prayer. 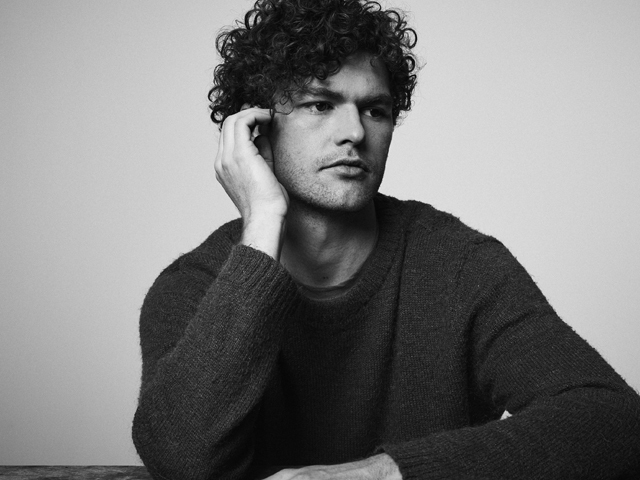 You don’t sell close to two million copies of your debut album without some seriously hard work… and Australian singer/songwriter Vance Joy has never been shy of major elbow grease. 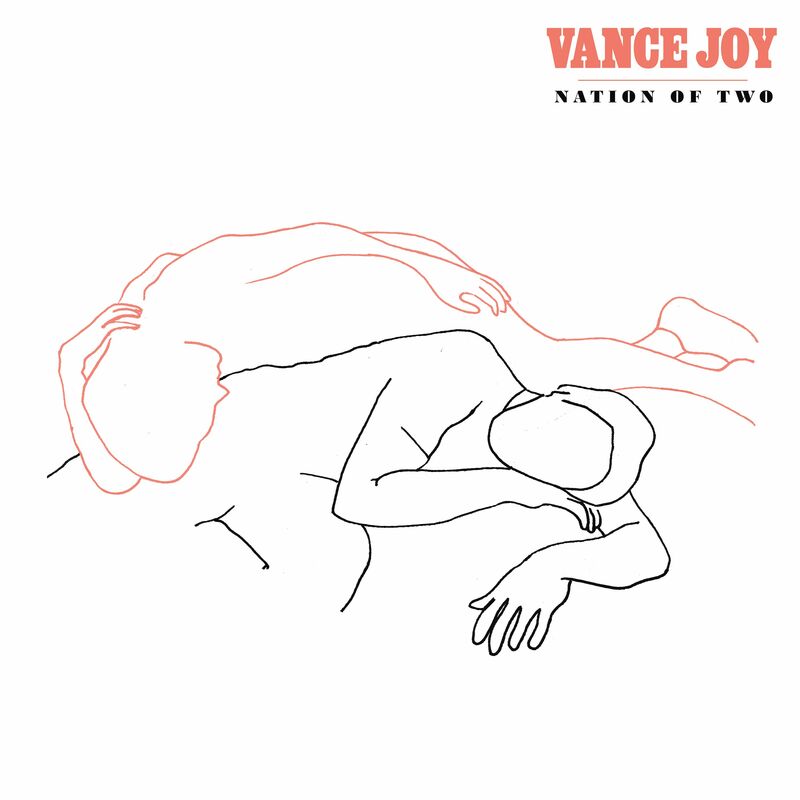 Introduced to the world via the ukulele-led charm of instant classic ‘Riptide’, Vance Joy (born James Keogh) consolidated on that first impression with further anthems ‘Mess is Mine’, ‘Georgia’, ‘Fire and the Flood’ and ‘Straight Into Your Arms’. Those hits all found a home on 2014’s debut dream your life away – the record hitting No.1 in Australia, No.2 in Canada and Top 20 in the UK and US. The figures are remarkable. ‘Riptide’ (a Top 10 Australian hit, Top 10 UK, Top 30 US, not to mention former triple j Hottest 100 winner) is about to clock over 200 million YouTube views and over 500 million Spotify streams. In Australia, it is now certified a phenomenal 8x platinum and remains the longest standing local single in the ARIA Top 100. Subsequent singles ‘Mess Is Mine’, ‘Fire and the Flood’ and ‘Georgia’ boast a further 400 million Spotify streams between them. Touring dream your life away saw Vance Joy surface everywhere from singing on American Idol to being handpicked to open Taylor Swift’s 1989 Tour worldwide, festivals from Lollapalooza in Chicago and South America, to Coachella, to Splendour in the Grass and of course, the AFL Grand Final. Then there was that moment Paul Kelly joined him on stage in Sydney singing a Beatles song, and selling out iconic venues in Canada, the US and the UK to thousands of adoring fans, plus a sold out arena tour back home in Australia. dream your life away went platinum in Australia, the US, Canada plus numerous territories in Europe and Latin America, nearing two million sales worldwide, his songs soundtracked an array of TV series and movies including Netflix’s 13 Reasons Why, animated feature Storks and acclaimed film The Big Sick… and you can lose yourself in a YouTube rabbit hole of people covering Vance Joy songs. The ol’ second album pressure? Not so much. However for sophomore album Nation of Two Joy wasn’t starting totally from scratch. He tapped back into his youth for the stunning ‘Little Boy’ – a tale of a childhood accident and growing up in the Melbourne suburbs. “I’m glad I could get a bit more personal on this album with a song like Little Boy,” he says. Elsewhere, his trusty mobile phone was a very modern archive of some vintage lyric and music ideas. One pre-prepared riff salvaged by Dan Wilson – who has worked with Adele, Halsey, Pink and Taylor Swift, and with whom he wrote a handful of Nation of Two tracks – became ‘Like Gold’, and was released as an early taste of the album for hungry fans. Nation of Two’s first single ‘Lay It On Me’ was another song Joy had half-prepared earlier. “I’d actually given up on the guitar riff that starts the song, but I played it to Dave Bassett (Rachel Platten, Fitz and the Tantrums) who I wrote it with and he thought it was cool.” Cool might be an understatement – the track is just about to tick over 2x platinum in Australia and has made a steady climb to the top of the Alternative Charts in the US. ‘Saturday Sun’, a tune so good that he held up delivering Nation of Two to ensure it made the cut, was also finished with the help Bassett. Complementing the dynamic song-writing, it’s fair to say that the Melbourne turned global star is sounding better than ever on Nation of Two. Joy’s compelling vocals dance around thoughtful lyrics and luscious melodies, and while he may have the special skill of making it all sound effortless, every word and metaphor is there for a reason. The album’s title came from Keogh marrying his Kurt Vonnegut phase with a book by Richard Ford called Between Them. He even drew the album’s striking cover art himself. Now, with a swag of exquisite new material added to his already impressive repertoire, comes time to start the crazy cycle all over again, this time with the bonus of simultaneous global releases and a ready-made audience. Check out the brand new music video IDGAF from Dua Lipa.